It's been awhile, but the team at Skuzzles is back with a totally radical new officially licensed movie poster! 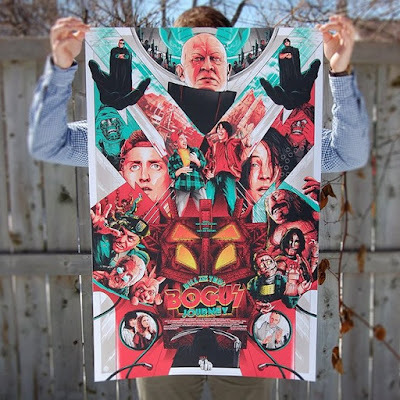 Check out this bodacious new Bill & Ted’s Bogus Journey screen print by Matt Ryan Tobin, which just so happened to be the Canadian artist’s favorite film. 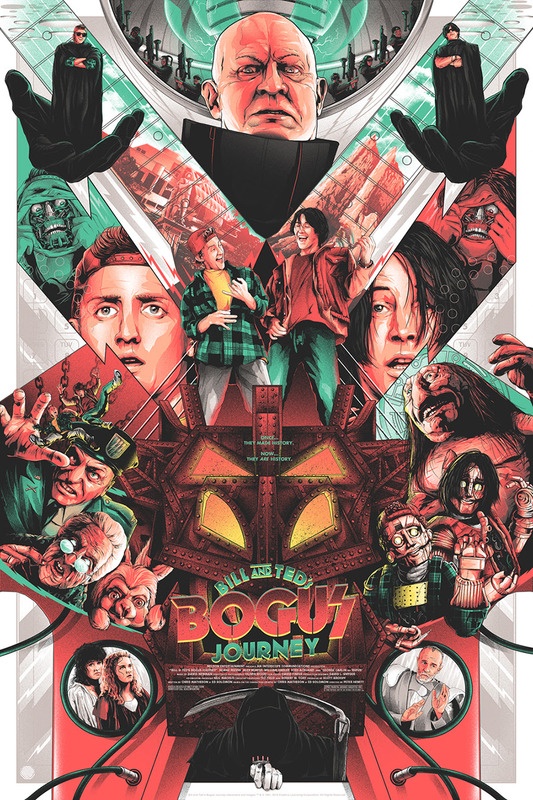 After a year of slaving aware on this design, and Skuzzles ability to get likeness rights for a majority of the film’s cast (including Keanu Reeves, Alex Winter and George Carlin), Tobin was able to capture the entire story of Bill and Ted's Bogus Journey by taking multiple elements from the film and incorporating them into the poster. Bill & Ted’s Bogus Journey by Matt Ryan Tobin is a 24”x36” hand numbered 7 color screen print. The Regular Edition is limited to 180 pieces and will retail for $50, while the Metallic Variant is limited to 75 pieces and will retail for $60. Both versions go on sale at 1pm EST today, Friday, March 24th, at the Skuzzles online store.